Outsourcing your company's customer service is a leap of faith. Companies like Oregon-based outsourcer FCR can be hired to handle a wide range of customer contacts including phone, email, chat, SMS (Text), and social media. It's often faster and less expensive for small companies and start-ups to use a third-party like FCR than it is to set-up an internal customer service team, but there needs to be a lot of trust. Will the outsourcer take great care of your customers and do a good job representing your brand? 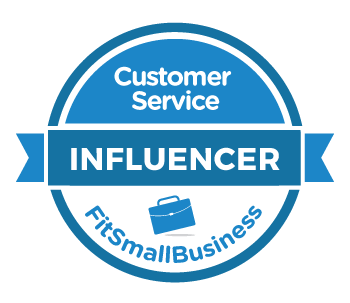 This is the second time I've interviewed Jeremy for the Inside Customer Service blog. We spoke back in 2015 about the impact of team size on corporate culture. Q: Many people perceive outsourced customer service as inferior. How is FCR trying to change that perception? "There may be a stigma around outsourcing where the perception is you're hiring second rate folks, but that's really not the case for us. "FCR's contact centers are located in small communities in Oregon where there's often high unemployment because other industries like lumber and fishing have declined. These employees tend to be smart, well-educated, and very dedicated. "We offer our colleagues [FCR's term for "employee" or "agent"] good, well-paying jobs with opportunities for career growth, and the chance to support well-known brands. It's exciting for many of our colleagues to know they get a chance to provide technical support for a cool start-up. It's really interesting to see how colleagues take a lot of pride in the clients they support." Q: Do your colleagues support multiple clients or are they dedicated to one account? "FCR used to have a shared model where colleagues would support multiple clients, but we've moved away from that. We've found that we can provide better service by having colleagues totally dedicated to one particular client. "One thing that's really cool about our model is we diversify the clients we serve at each of our contact centers. The way it works is we try to balance seasonal needs, so one client might be ramping down after a busy season while another client's busy season is just starting. This allows us to keep more colleagues employed throughout the year while reacting quickly to our clients' seasonal needs." Q: How do you adapt to the unique service cultures of each client you serve? "Having colleagues dedicated to a single client helps a lot. "Another thing that I see that really helps us is FCR is very transparent with our clients. We invite them to visit our contact centers and spend as much or as little time with their team as they want. "It actually works best when colleagues strongly identify with both FCR and the client they're serving. You'll see colleagues with client swag at their workstations and it's obvious they take a lot of pride in supporting that brand. "Many of our clients will also bring in their own trainers when we launch with them to help our colleagues get immersed in their culture. This helps us get to know their service philosophy and adopt their brand voice and style guide if they have one." Q: How do you keep your colleagues engaged with your clients? "I have a unique perspective because I came from an FCR client to work here. "When I was an FCR client, I realized that using an outsourced model meant someone else was managing people who do support for my company. So one thing that we started doing that's really unique for outsourcers was an employee engagement survey. We actually surveyed the FCR colleagues who were supporting us to see what we could do better. "A lot of our clients now do that. "Many of our clients act on feedback from our colleagues to improve their products, processes, or services, and take time to empower our colleagues to serve their customers at the highest level. That helps people feel even more connected. "I've never had an agent or a colleague refuse to talk when I ask about the pain points they're experiencing. We like to run focus groups with our colleagues when a client does a site visit so our clients can hear first-hand what colleagues are hearing from customers. This might help confirm what our client is already seeing in their customer service surveys or reveal a brand new insight. Our colleagues really appreciate being heard like that." Q: A lot of outsourcing relationships are based on cost savings, but FCR is known for providing clients with extra value. How do you do that? "I spend a lot of time talking to clients and looking for ways to improve not only our service, but the client's overall business. "For example, I might identify a best practice that one of our client teams is using and share that with our other programs. One of our teams had someone who was a wizard when it comes to generating reports in Zendesk [a customer service software platform]. About half of our clients use Zendesk, so we were able to share those insights with all those other teams. 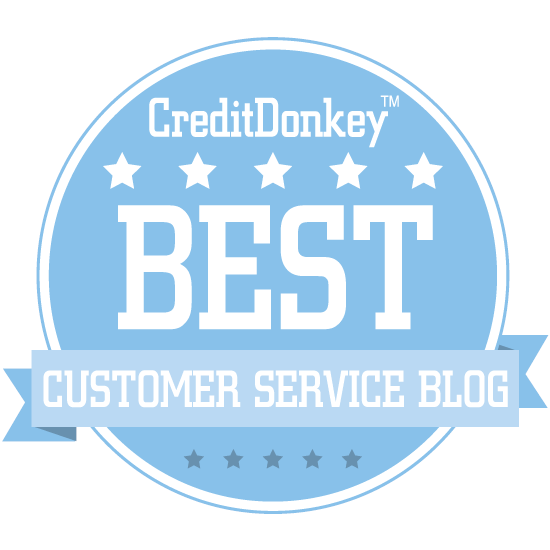 "Another area where we try to add value is through customer service surveys. We try to marry our quality monitoring process with our clients' surveys so we identify what's driving satisfaction or dissatisfaction and share that insight with our clients. We're also able to share a lot of best practices we learn with all of our clients, so when we work with one client to solve an issue, all of our clients can benefit." A few weeks ago, I published this post highlighting ways that the size of a company or individual team could impact service quality. The surprising conclusion was that small and large companies generally fared equally well, while mid-sized companies struggled the most. Jeremy Watkin, Head of Quality at FCR, was kind enough to give me some insight into how his company tries to maintain a boutique feel even as it continues to grow. FCR is a leading contact center outsourcer with 1,400 employees spread over six contact centers in Oregon. One of the more interesting things that FCR does is limit the size of its contact centers to approximately 300 employees. Last Thursday, Watkin joined me for a Google Hangout interview so we could go a little more in-depth into some of FCR's best practices. FCR creates teams of employees (called colleagues) to serve individual clients. This helps maintain a small-team feel even as the organization itself continues to grow. The biggest challenge here is keeping a low supervisor to colleague ratio. FCR generally strives for 1 supervisor to 15 colleagues, but their rapid growth can sometimes inflate that ratio to 1 to 20 or higher. Data from customer service software provider Zendesk shows that mid-sized companies generally provide poorer service than small or larger organizations. There isn't clear data to explain why, but Watkin offered a good theory. He suggested that mid-sized organizations are generally small companies that have grown past the point where they can manage things informally, but they don't yet have the standardized systems and processes that large companies have in place. The interview lasts just under 30 minutes. It's interesting to gain Watkin's first-hand perspective on keeping things small, even as an organization grows. Nobody likes having to contact customer service for help resolving a problem. It’s doubly aggravating to contact them a second time because the issue wasn’t fixed. I can’t even tell you how frustrating it is to contact customer service 16 times on one issue. First Contact Resolution, or FCR, measures the percentage of customer problems that are resolved on the very first contact. It doesn’t take a rocket scientist to figure out that a high FCR rate is a good idea. Customers are happier and companies are able to work more efficiently. Surprisingly the metric has been slow to catch on. One factor holding back its adoption is speed. A recent poll conducted by the International Customer Management Institute (ICMI) found that FCR ranked fifth among metrics shared with frontline call center employees. Two speed-based metrics and another efficiency-based metric ranked ahead of it. 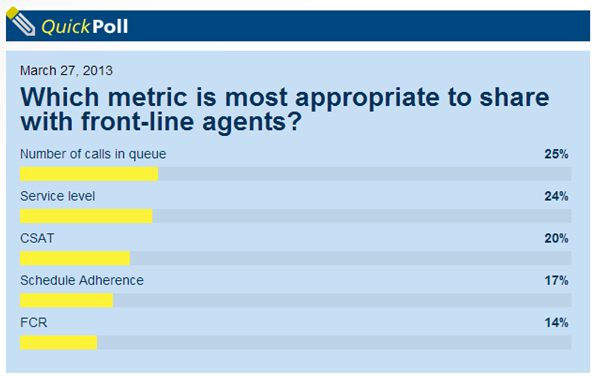 The two most popular metrics for front line employees tell call center agents when to work faster. Many reps will speed up their interactions when there are a lot of calls in queue. This in turn allows them to improve service levels (the percentage of calls answered within a set amount of time). Schedule adherence is an efficiency metric. It calculates the degree to which call center agents are working their assigned schedule. Agents may be less likely to spend time fixing a difficult problem if they feel pressured to immediately take the next incoming call. The impulse to work faster can hurt FCR. Employees take short cuts, speed up their interactions, and try to multitask their way through an avalanche of work. All of this can make it harder to spot the important details that are the difference between First Contact Resolution and Endless Back-and-Forth. You can see an example of this in my breakdown of an email service failure. I recently attended the Contact Center Conference & Expo where FCR was one of the hot topics. However, I was only talked to a few people who were actually measuring FCR in their contact center. One of those people was Kathie Gerrard from MTS Allstream, a business communications provider in Canada. Gerrard told me that their FCR initiative really took off when they stopped emphasizing another speed-related metric, Average Handle Time (AHT). MTS Allstream still tracked AHT behind the scenes even after they stopped emphasizing it with their reps. Gerrard told me that they haven’t seen a significant increase in AHT since shifting their focus to FCR. Her observations suggest that the extra time required to resolve a customers’ problem completely is often negligible. It’s the pressure to wrap things up quickly that actually causes the service failure. Gerrard also told me MTS Allstream had widespread executive support for their FCR initiative. This isn't always the case. Another call center manager I spoke to at the Contact Center Conference & Expo told me his executives resisted moving to FCR because they had invested so much money in technology that measured speed and efficiency. They understood and felt comfortable with metrics like calls in queue and average handle time. How do you get your executives on board? Show them the money. Here are a few ways that FCR can lead to financial results. Slowing down to speed up is counter-intuitive, but the numbers don't lie. Speed can kill first contact resolution.